A viral image purportedly depicts a deep-fried rat head served to a customer at a Harlem-area Popeyes Chicken outlet, but others suspect it's merely organ meat. 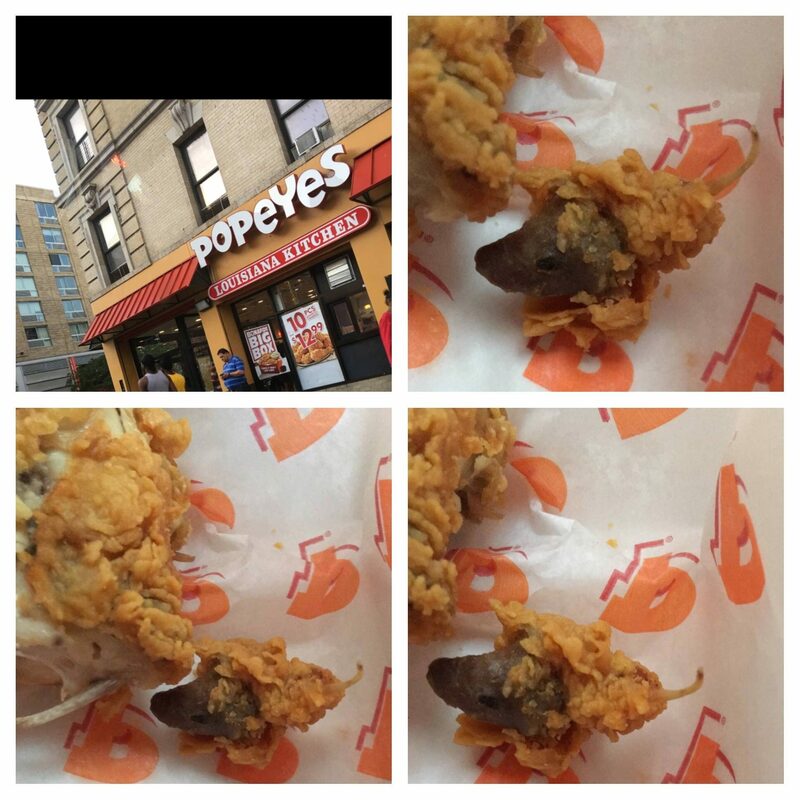 A customer found a deep-fried rat head in a Popeyes Chicken meal in Harlem. Friends and family, this is a meal Popeyes in Harlem served my daughter, my niece and sister. This is clearly a rat and they have the nerve to have a 5 rating by the department of health. I’ve sent this picture to DESK@NY1 and no one has contacted me. People please free to share this picture. Think about all the other rat that have been served and the lasting effect this will have on my daughter, niece and sister. The exact address is 2730 Frederick Douglas Blvd. The choice of a rat as a contaminant is also easy: rats have turned up in food products before; they’re the right size and shape to be mistaken for pieces of chicken (especially when fried in batter); and rats are vermin, symbols of filth and decay. The fact that the rat-chicken is usually eaten in the dark is a plot device to prevent premature discovery of the “secret,” although some might consider it an important symbolic aspect of the legend. So, what does this legend have to say? As our society becomes more urbanized (and frenetic), we become less and less involved with the preparation of our own food, frequently dining out instead of eating at home, scarfing a quick meal rather than enjoying a leisurely one, and leaving the food preparation entirely in the hands of others. And these others are not local restaurateurs we know well, but anonymous corporate fast food franchisees and their faceless employees. The combination of our guilt at abdicating this responsibility and our mistrust of corporations is expressed as fear that fast food entities who don’t care about us will serve us tainted food prepared under unsanitary conditions, due to carelessness, laziness, or sheer malice. Like many other long-circulating urban legends, iterations (and parodies) of the deep-fried rat (or mouse) claim pop up from time to time on social media as first-person accounts. 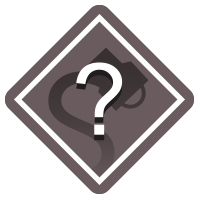 Typically, those claims are determined to be misunderstandings or fraudulent attempts to extort money from large companies. A guest at a Popeyes in Harlem in New York City recently posted on her social media account saying she thought she found something unusual in her chicken. Everyone at Popeyes takes claims like this very seriously. Food quality is our top priority. When the franchise owner of this restaurant learned of the guest’s post, he immediately tried contacting her to resolve the issue. The pictures she posted were also sent to the poultry supplier and the owner contacted the health department to inspect his restaurant that day. The health department re-confirmed the location’s “A” rating. It’s important to understand Popeyes uses fresh poultry. It’s rare, but there are instances when chicken organs fail to be removed from the final product. While they may look unpleasant, or sometimes look like non-chicken parts, they do not pose a health risk.